Oakmont Golf Club's Ted Robinson designed West Course can be played at over 6,300 yards and was designed for both enjoyment and challenge. The front nine holes feature small greens. The smart players will aim for the center of the green and from there have a relatively short birdie putt. The back nine holes offer larger greens and more yardage that will require a longer iron into the greens. 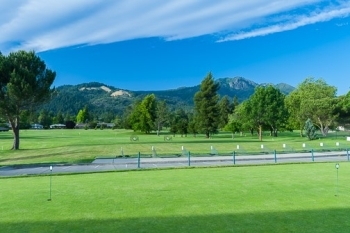 It's an easy walkable golf course where scenic vistas of Sonoma County are part of every hole. The East Course at Oakmont Golf Club has been frequently referred to as one of Northern California’s most challenging executive golf courses. While it was originally designed as a golf course for seniors and beginners, it has quickly become a challenge for all types of golfers. 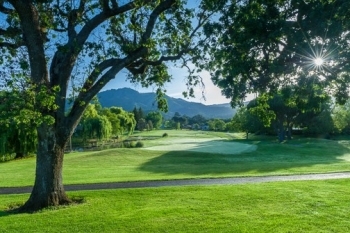 Classed as an executive course layout, Oakmont East, with its large greens, 45 well-placed bunkers, heritage oak trees, water hazards and scenic views of and Annadel State Park Forest, combine for a very enjoyable and quick pace of play experience for all golfers.